Join the good fight! Be a part of our community of St. George! 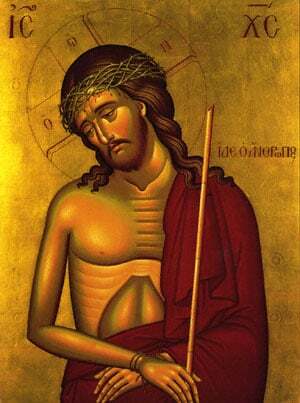 O trophy-bearer, Great Martyr George, intercede with Christ God that our souls be saved." Here at St. George, we aspire to rise to the philanthropic greatness that St. George led by example! With the blessing of his holy relics and by the power of his intercessors, we hope to help those captive, poor, sick, and even our leaders! Join our spiritual family at St. George and be a part of the holy and transforming work we do! What happened to the communities that the Apostles & Disciples founded after Christ's Ascension into Heaven? How did those communities grow and develop and do they exist to this day? And how were so many letters and books put together into the Holy Bible that we have today? Come and see the 2000 year old tradition that has carried these weighty matters! Pay us a visit and experience the beauty of our community! When you step in the front doors of our parish, you'll be welcomed warmly by our Greeting Committee, have the ability to see and venerate the relics of the Legendary St. George, and admire the breath-taking dome depicting Christ, the Pantokrator, the Ruler of All! Inside you'll also see beautiful stain-glass and hand-painted icons of the saints who are in our midst within the safe walls of our parish! There's always so much going on! Be sure to plug in and stay connected to our parish through the life-giving services offered on Weekends & Weekdays, as well as the engaging ministries we offer to young and old! You can even stay updated each month with our online calendar! Tune in to our Livestream Channel! Join us for a free meal once a month! Click below for dates & times. Wednesday & Thursday Bible Studies! Every Friday Night, from 3:30pm to 6:30pm, we serve the best Greek Food in Town! Join us for Friday Night Dinners!